Using disposable products for cleaning around the home has become commonplace. It’s as though the fear of germs not only extends to using antibacterials in just about all soaps, but to using all cleaning materials just once to ensure that the germs don’t stick around at all. But frankly, a lot of these disposable products are obnoxious and wasteful. I’ve written before about ways to avoid plastic, but there are many more disposable products you should consider whether or not you need to continue using them. Paper towels have been used in the kitchen for a while now. It’s hard for many people to picture their kitchen without them – they’re probably one of the most popular disposable products around. But you really and truly can live without them. Get a few more kitchen towels. Microfiber ones work great for cleaning the kitchen and bathroom. If you aren’t concerned with appearances, you can also tear up old bathroom towels for cleaning rags. I don’t know about your kids, but with mine that can be a huge plus. They’d use a huge wad of paper napkins to clean a mess that one cloth napkin or hand towel could handle. You can go through a ton of facial tissues such as Kleenex when you’re sick. 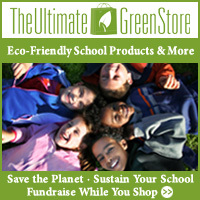 On those days you may not care much about disposable products or waste, but there are better options out there. A good handkerchief is a great option. They’re much easier on your nose than facial tissue in my experience. We have some old burp cloths that are super soft and work well when someone has a cold. Whatever happened to a plain old broom? Are a broom and dustpan really that hard to use? And when it comes to mopping, I love my steam mop. No cleaning chemicals required, and the microfiber pads are washable and reusable. It’s so easy my kids do the mopping for me. Until I made it a regular chore they’d even argue over whose turn it was to mop. Okay, I’ll grant that in some situations you’re going to need to use disposable diapers unless you’re the most determined cloth diaper parent around. Lots of people who use cloth diapers don’t like to deal with them for travel, where carrying them around and washing them is a bit more effort. And I’ll grant that most daycares won’t deal with cloth diapers either. So I understand that some people do indeed need disposable diapers. But if you can fit them into your lifestyle, cloth diapers are so much nicer to use than disposables. Just an extra load of laundry washed with a little extra care. In return, you get reduced odds of diaper rash and improved odds that your child will potty train at a younger age. Plus all the money saved. To make this more energy efficient, line dry the diapers when possible. The sun will help bleach out many of the stains, which is an added bonus. Don’t forget the cloth wipes. You’ll be washing the diapers anyhow! In California and some other places now, stores don’t give free plastic grocery bags anymore. You have to bring your own or pay for a reusable one. It’s amazing how fast the habit to bring your bag improves when you have to buy a bag if you don’t bring one. It only costs a dime, but most don’t want to have to pay that for every bag they use. You can buy some very nice reusable shopping bags that will be much better than the reusable plastic ones the store will sell so cheaply. They often hold more, which is both good and bad. You don’t have to carry so many bags, but sometimes they get too heavy for comfort. Plastic water bottles are everywhere these days! When you consider what you’re paying for bottled water, it’s pretty absurd in comparison to what tap water costs. Stainless steel water bottles are so much nicer. I’ve used mine for years. I prefer the insulated models so that I don’t need to worry about condensation. It also means I can leave it in the car and come back to a drink that is still cold. They come out cheaper than plastic water bottles over time. They’re also great for kids in their school lunches. I’ve tried so many drink bottles for my kids, and the stainless steel ones are the only ones that survive. Kids tend to throw lunch boxes and drink bottles around when they’re done with them for the school day. I’ll see dents in their drink bottles, but no breaks. Paper plates, plastic cups, and plastic silverware are incredibly useful when you have company over, but also incredibly wasteful. You have alternatives. You can borrow dishes from family for special events where you need more dishes, or you can get inexpensive reusable dishes. If you absolutely must use plastic cups, have a Sharpie pen out so people can mark their cups. This way they don’t have to get a new cup when they aren’t certain which is theirs. I have to admit, I have never understood dryer sheets. I’ve never even used them. It has never seemed to me that they would make a significant difference in my laundry. If you need to use something, try wool dryer balls or simply put a drop or two of an essential oil on a cloth and throw it into your dryer. The effect should be much the same. I am not a coffee drinker, so it’s easy for me to look down on single serve coffee pods, although I do understand the convenience. It can be nice making just a single cup of coffee in the morning when that’s all you really want. The waste from the pods, however, is awful. If you love your Keurig or whatever brand you have, check out reusable coffee pods as an alternative. That way you can keep using your machines, have your convenient single serve coffee and reduce waste at the same time. 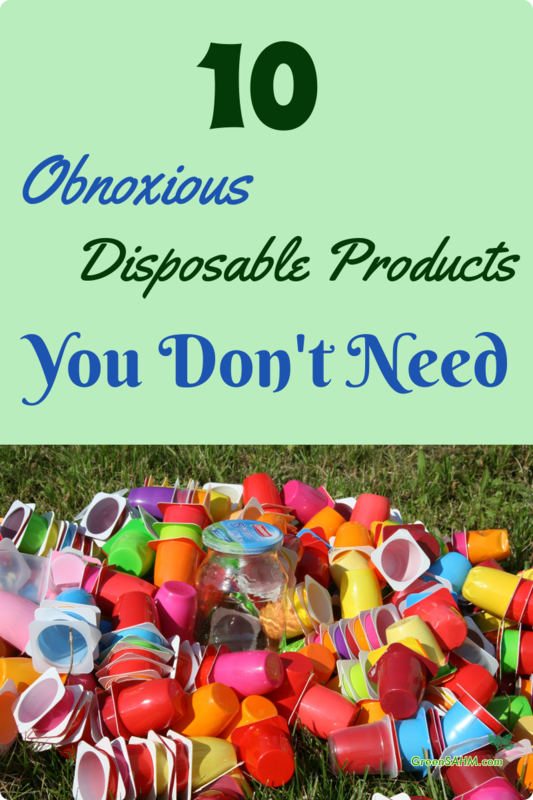 There are plenty more disposable products that people use that they don’t really need. While you don’t need to make all these changes to be more eco friendly, it may not hurt to make a few changes. Which disposable products drive you nuts?